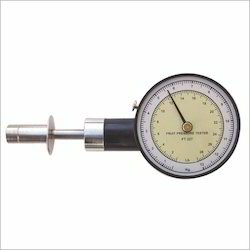 Bright Medi-Weld Appliances excels in rendering a qualitative gamut of Measuring Instruments & Devices, which is offered to the clients at leading market prices.The devices are highly appreciated by Workers, Engineers, Professionals, students, Researchers, Govt.Agencies etc. We have a range of latest Engineering Tools which are Simple to use,Less Time Consuming, Accurate & suits your application. 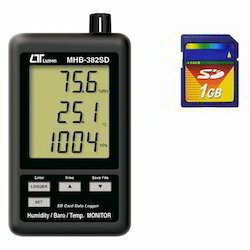 Show Humidity, Temperature and Barometer value in the same LCD. 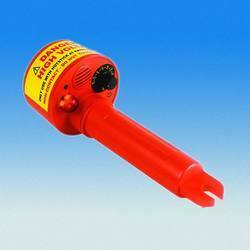 Used the precision capacitance type humidity sensor, professional and high accuracy for humidity measurement. 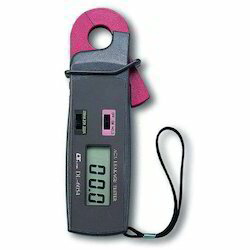 Professional barometer, unit: HPA, mmHg, inHg. The circuit design are designed to consider low power consumption and long battery life when use battery power. DC 1.5V (UM-4, AAA) battery x 6 PCs or DC 9V adapter in RS232/USB computer interface. Measurement : WBGT value ( Indoor/Outdoor Wet bulbglobe temperature ), Black globe temperature, Humidity,Air temperature, Wet bulb temperature, Dew point Temp Adjustable WBGT alarm setting, if the WBGT value over the alarm threshold, the buzzer will sound along with the flashing Display. 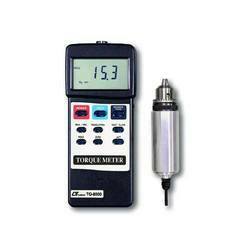 Professional torque meter with 15 Kg-cm torque probe, full set. 3 kind display unit : Kg-cm, Kg-cm, LB-inch and Newton-cm. Display: 61 mm x 34 mm supper large LCD display.15 mm ( 0.6" ) digit size. Measurement: Torque value, peak hold, data hold, Max. & min. value. Data hold: Freeze the desired reading. Peak hold To hold the peak value. Memory: Maximum & Minimum value. Power off: Auto shut off, saves battery life, or manual off by push button. Power supply: Alkaline or heavy duty type DC 9V battery, 006P, MN1604 (PP3) or equivalent. Power consumption: Approx. DC 20 mA. 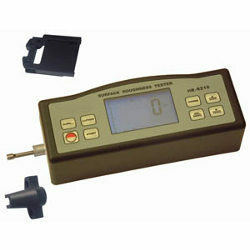 Dimension Meter : 180 x 72 x 32 mm ( 7.1 x 2.8 x1.3 inch ). Torque probe:Round 48 mm Dia. x 160 mm. 8 voltage settings : 240Vac, 2kV, 3.3kV, 6kV, 11kV, 22kV, 33kV, 66kV, 132kV and 275kV. High bright LEDs visual indication. Compatible with most link sticks. Modular design: convenient installation and easy to rule out failure. Adjustable sensitivity: Each detection region has 100 sensitivity level may require adjustment in accordance with the appropriate detection sensitivity. Three sets of stored criteria for good regulation to fit different occasions and special chemicals. Equipped with remote control, operation more convent and easy. 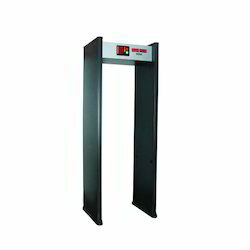 Continuous job performance, can not escape detection at any time. Can automatically measure and display the interference of the surrounding environment to help to select the installation site. Complied with current international safety standards, the use of weak magnetic field emission technology , has no harm to pacemakers wear Persons, pregnant women, floppy disks, video tapes etc. 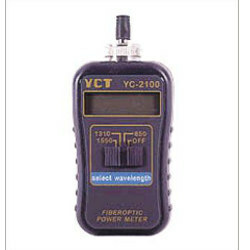 Detection procedures: 100 sensitivity adjustment may be required on different occasions to meet separately. Basic safety: meeting the requirements of GB4793. Working environment: -10 ? ~ 45 ?, = 95% RH. Chart Pen (2 Blue & 2 Red pens)/ BoX. The computer interface cable, one side is the ear phone plug that connect to the meter's RS232 output, the other side is the USB plug that to connect the computer's COM terminal. 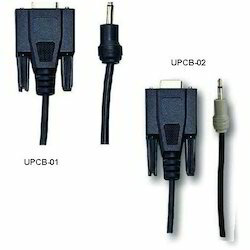 UPCB-01 is the direct interface cable. 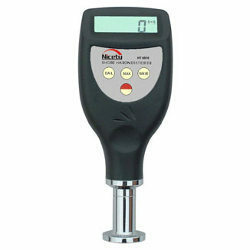 High precision AC mA measurement, it is useful for AC mA leakage current measurement. Measure AC mA on the inductive conductor. Miniature type, easy to carry out & operation. High precision for low ACA leakage current measurement. Crystal time base, high quality. Design to meet IEC 1010 safety requirement. 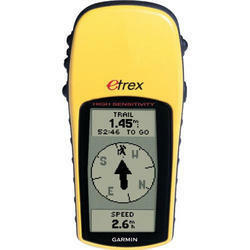 Extrex H GPS Tracker offered comes designed and developed using latest technology support so as to provide for reliable and accurate working. Volume control for increased sensitivity and adjustable to suit work enviornment. Power supply is from any 9V battery with a life of approximately 100 hours. A plug receptacle is designed for head set or hand set. 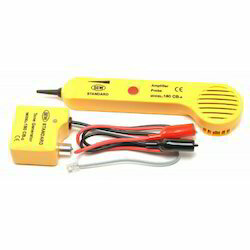 Besides providing tone generator, tone generator serves as a continuity and polarity tester. 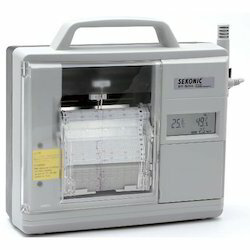 Test results are displayed by a three-colored led. Metal vane, heavy duty & wide range air flow measurement. 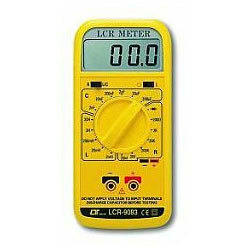 Large LCD with Dual function meter's display. Build in temperature C,F measurement. 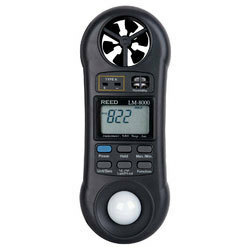 The portable anemometer provides fast, accurate readings, with digital readability and the convenience of a remote sensor separately. Multi-functions for air flow measurement m/s, km/h, ft/min, knots. mile/h. 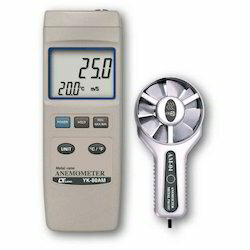 Applications use this anemometer to check air conditioning & heating systems,measure air velocities, wind speeds,temperature...etc. L : 5 ranges, 2mH to 20H. C : 6 ranges, 2 nF to 200 F.
R : 6 ranges, 200 ohm to 20 M ohm. Accessories:Carrying Case x 1pcs, DC 9V alkaline battery x 1pcs, USERS MANUAL x 1pc. 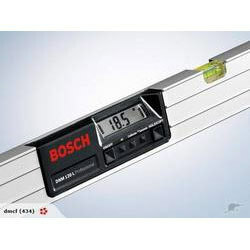 Looking for Measuring Instruments & Devices ?